I wanted to drop a dime on a friend the other day, but there was no where to drop it, so I put the dime back in my pocket and took out my iPhone. All that resulted in was dropping scores of dimes into AT&T’s general fund. The whole concept of dropping a dime on someone has recently been at the top of my mind as I’ve been reading several books set in the 1970’s and 80’s when pay phones were still an option for placing a call. Sure, mobile phones are a lot more convenient but there’s no romance to it, no panic over futilely digging in your pocket for enough coins, or impatiently waiting outside a phone booth while someone yammers with their cousin over whether to eat Italian or Slim Jims. I wonder if Clark Kent risks a public exposure arrest because he has to change into his Superman duds in the middle of Metropolis’s main drag, or if college freshmen feel cheated because they have no place to stuff 50 of themselves in order to win a beer bet. 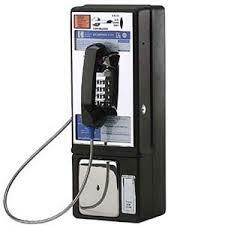 As a reporter, pay phones were my lifeline. I remember covering a trial in Greenville, Tenn. in 1986 for CNN that was given the nickname Scopes II because it involved whether or not the local district could teach evolution. The day the judge would announce his decision I was instructed to call it in forthwith and do a live phoner. The courthouse had only one pay phone and I knew I’d never get to it in time. So I paid the owner of the hardware store across the street 20 bucks to clear his pay phone immediately when I rushed in to file my report. He kept his end of the bargain and I went on the air within two minutes of the verdict being read. The bosses were thrilled and asked me to go on the air with Headline News and then an affiliate. I was then asked to record an audio track CNN Radio could use in their newscasts. He then started scolding me that I’d cost him hundreds, maybe thousands, of dollars since that pay phone was the store’s ONLY phone and I used it so long he missed a scad of expected incoming orders. Why he didn’t tell me that in the first place or charge me more than a piddly 20 bucks I’ll never know but I walked away with a big ol’ grin for scooping my competition by buying off the guy’s pay phone first. I did give him five more dollars before asking if I could just call the assignment desk. Yes, that’s chutzpah, but being Greenville, Tenn., they didn’t know what that meant and the guy told me to make it snappy and get the hell out before he showed me his hardware store also dealt in firearms and used me to demonstrate his marksmanship skills. Nowadays that element of competition is gone. Everyone has a phone in their pocket and the thrill of screwing your competitor by bribing for access to the only phone around is gone. Indeed, you don’t need any change at all any more to drop a dime on someone. 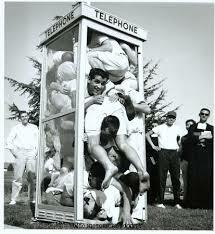 With cell phones and sometimes spotty service the only thing being dropped, is your call.